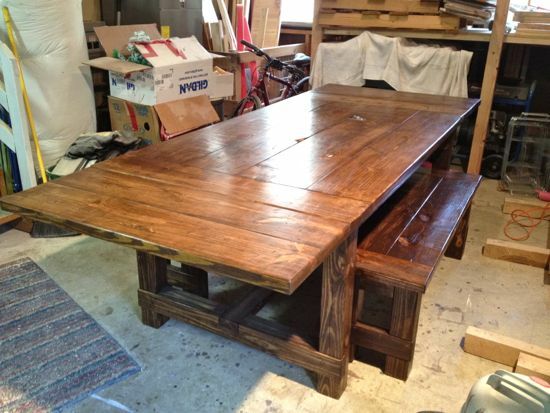 It was a great privilege for me to help a friend build a table for his fiance’. She had seen our table online and loved it and he knew that it would be an amazing surprise gift for Christmas. As we began to talk/discuss the details of the table we were excited about the idea of giving it that extra little touch to make it special. He’s an amazingly gifted graphic designer/artist and he came up with something really awesome. We printed out the design, rubbed a pencil on the back of the printout, and then transferred the design onto the tabletop. Once transferred, my friend meticulously used a soldering iron pen to dig/burn the design into the wood. We chose to put the design on the corner of one of the breadboards. It turned out great and will definitely be both a Christmas gift to be remembered as well as a piece of furniture that will potentially last their family for many years to come. Pretty special right? 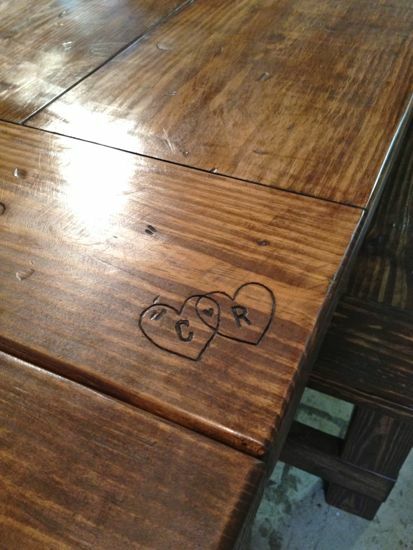 What would you want carved into a table from your significant other?